Infused with skin-loving grapeseed oil and moisturizing glycerin. This unique formula actively revitalises dry skin, leaving it feeling beautifully soft and looking healthy. This luscious Vita-Rich lotion is fast absorbing andd boosts skin’s hydration, delivering 24 hour moisture for all-day softness. Use lotion daily to nourish your skin and hydrate. The lotion is the right consistency to easily spread over your whole body. 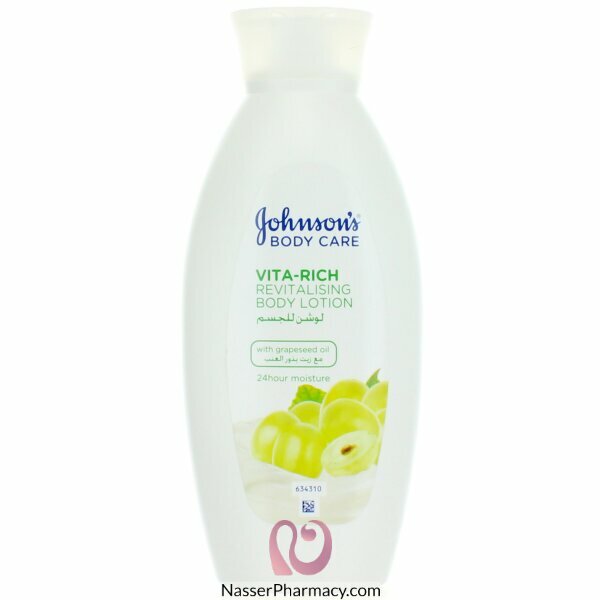 For best results, use the lotion right after your shower to lock in the moisture. Use as much as you see fit – a little goes a long way!